With the failed military coup in Turkey against the Erdoğan regime, the state is facing the gravest human rights crisis in decades. Infamously bad in terms of treating journalists, suspicious of various perspectives of history, and ever hostage to flashpoints of authoritarianism, the current Republic is now underdoing the next grave challenge. 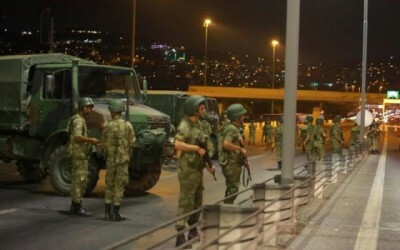 Within days of the coup’s launch on July 15, the government in Ankara engaged in an aggressive campaign of sackings, expulsions, mass arrests and detentions. Newspapers deemed sympathetic to the US-based cleric Fethulla Gülen, a figure suspected of having a hand in the challenge to Erdoğan, were shut down. Six hundred schools were closed. In the subsequent declaration of emergency, Ankara announced that it would suspend Turkey’s involvement with the European Convention on Human Rights and the European Court of Human Rights. This might stand to reason, given that Turkey has received more judgments against it from the ECHR than any other state in Europe. It doesn’t want enemies keen to avail themselves of such legal avenues. States of emergency tend to be inimical to human rights, sometimes in most acute fashion. The point was well acknowledged by the drafters of the Convention, who inserted Article 15 to combat the overstretch security states invariably have. The Convention makes it clear that the derogation itself, while permitted in certain circumstances, cannot apply to various recognised norms such as the right to life, slavery, extrajudicial assessment and importantly, the ban on torture and degrading treatment. As a manifestation of state-directed power, torture’s only justification is a self-based one, ever circular in its purposes. The aftermath of coups in Turkey have historically been littered with instances of torture, often an outcome of frustrated power trippers and fanatics keen to defend the higher ideals of the Kemalist state. A thesis has been advanced that the guiding Turkification program of the state lent itself to the systematic use of torture against dissidents and ethnic minorities. While the constitution bans torture (Art. 17), its presence in Turkish political life has been powerful and dreaded. As the Medical Foundation for Care of Victims of Torture noted in a 1999 report, “Torture is systematically applied in Turkey as an administrative practice. Whoever is deprived of his/her freedom is under permanent threat of torture from the very minute of detention.” In 2008, Turkey’s justice minister Mehmet Ali Şahin revealed the discomforting statistic that some 5,000 individuals had submitted complaints about torture and ill-treatment at the hands of the police forces between 2006 and 2007. The last full scale military coup in 1980 was the prelude to the arrest of a 650,000 individuals of whom 230,000 were put on trial, relatively dwarfing the recent exercise by Erdoğan. Of those, 517 were sentenced to death, while 299 prisoners died under as such “undetermined” circumstances. Similar concerns have emanated from the Council of Europe’s Commissioner for Human Rights, Nils Muižnieks. “I am alarmed by images showing torture and ill-treatment being inflicted on suspected perpetrators, as well as signs of torture on persons taken into custody, which were published in various media” (Statement, Jul 20). Veracity or not, traditional justifications were also cited: that Turkey had survived a vicious challenge from forces linked to the Fethullah Gülen Terrorist Organisation “to overthrow the democratically elected government in Turkey.” The Turkish Grand National Assembly had been attacked by heavy weapons; the Turkish people had been fired upon. For those more familiar with recent Turkish history, the idea of an emergency rough on law and those claiming protection under it was far from novel. Turkey had been living in what effectively amounted to such a state for years, making any assertion to the contrary feeble. As Die Welt noted, “the state of emergency is going to have to work hard to get noticed at all.” The danger here is whether the environment has become all too rich for officials to do their worst in achieving what they might consider the best. The precedents are all too clear: torture is both system and pattern. 1. Medical Foundation for Care of Victims of Torture, Staying Alive by Accident: Torture Survivors from Turkey in the UK (London: Medical Foundation, 1999), 23.